ESL has announced a new partnership with Vodafone which will see the ESL Women’s Sydney Open presented by Vodafone. The tournament gathers the best women’s teams from Australia and new Zealand to compete for the opportunity to play live at the IEM Community Stage for a prize pool of $10,000. Following two online qualifiers, the top four Women’s CS:GO teams from across Australia and New Zealand are set to play the first portion of the tournament at the Vodafone booth on Saturday May 5th, with the grand finals held on Sunday May 6th live at the Community Stage. Competitor Jessica Majrouh said the ESL Women's Sydney Open is a great opportunity to give women the experience to showcase their potential and skill, while establishing a stable and driven environment within Australian esports. “With the support of large brands entering the esports space, and a combined effort from tournament organisers like ESL, there is hope that we will have the backing to allow our community to develop and flourish for the future generation of women in esports,” said Jessica. The local partnership of the women’s tournament comes following a broader international partnership with ESL. Off the back of the World Championships event held in Poland in March, IEM Sydney is next in line of a string of ESL events supported by Vodafone this year. 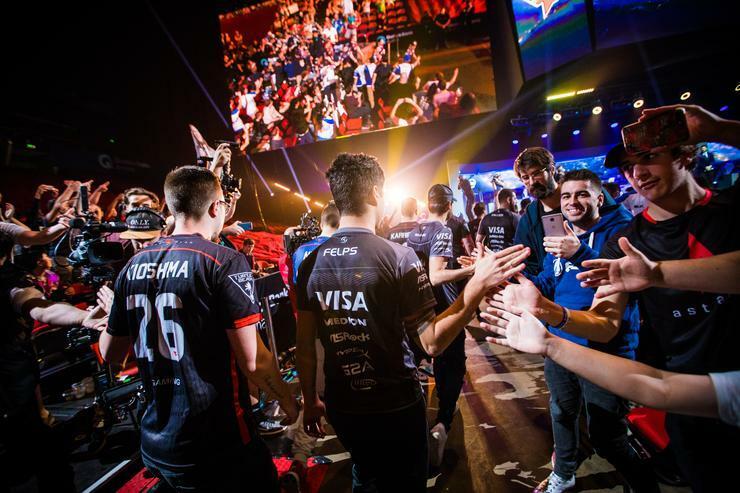 Consumer Business Unit Director Vodafone Australia, Ben McIntosh, said Vodafone is proud to support ESL in Australia and the exploding esports category globally. In 2017, IEM Sydney saw eight of the world’s best teams take the stage at Qudos Bank Arena. Over 7000 fans filled the stadium each day, and eight million viewers tuned in to watch the teams battle it out for a share of $260,000. This year, IEM Sydney’s main tournament has grown even bigger and will see 16 teams play across three days, with a prize pool of $310,000 AUD. Tickets to the event are available from Ticketek – join thousands of fans at Australia’s biggest esports event in the Qudos Bank Arena on May 4-6. The full details of the ESL Women’s Sydney Open, Presented by Vodafone and the IEM Sydney event can be found on the IEM Sydney Website.